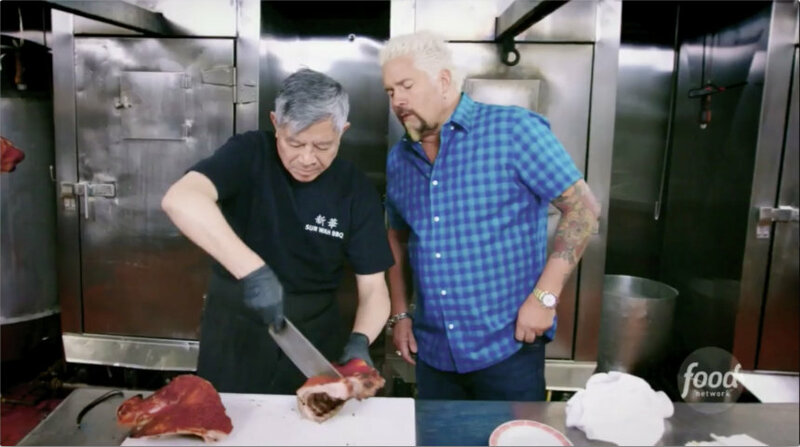 For it’s 29th Season Premiere, Guy Fieri & the Diners, Drive-Ins and Dives crew dropped by Sun Wah BBQ for some Chinese barbecue and Hong Kong style cuisine. 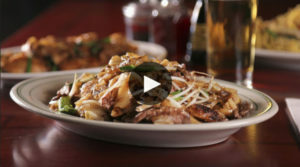 Along the way, we demonstrated how our in-house rice noodle is made from scratch and used in Beef Chow Fun. Our recipe has been posted on the Food Network website. 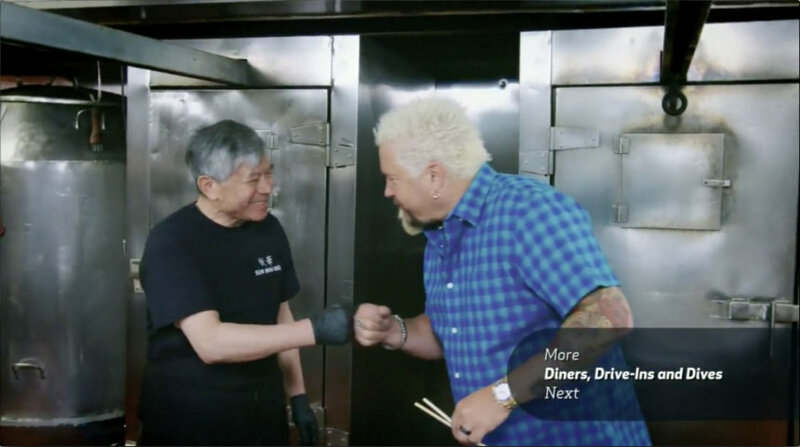 We had a fantastic time with you and the Food Network crew, Mr Fieri! 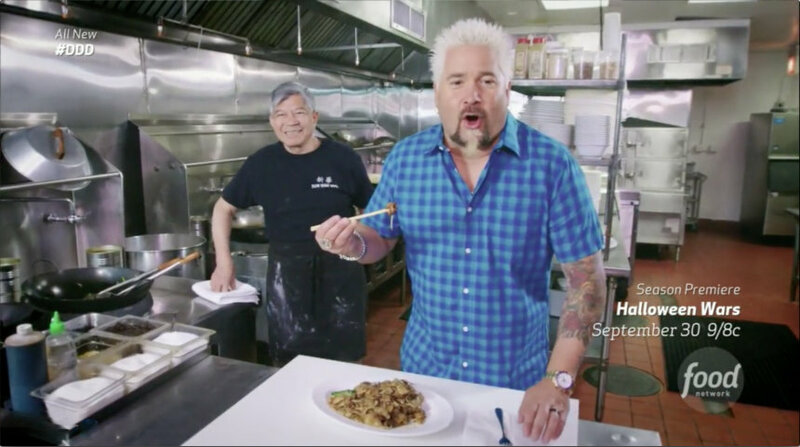 If you’d like to view this episode titled “Pork to Pasta”, look for Season 29, Episode 1 on the Food Network Channel, or if you have your Cable or Satellite TV login credentials, on-demand through their website. This episode originally aired Friday, September 21, 2018. Requires login with your Cable TV or Satellite TV credentials. 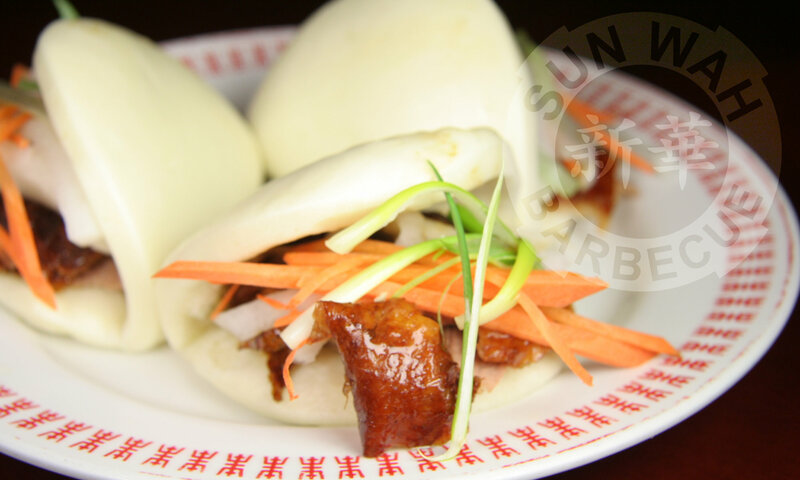 It's Friday 3:58 AM — Sorry, we're closed. Check our business hours or Event listing!